When I arrived in Uruguay I needed someone to help me take the photos off my camera, put them on a pin drive, so I could view them on my computer. I don't have a cable for that. I had to get some things at a pharmacy and that pharmacist offered to put those pictures on my pin drive. I asked him how much I owed him and he said, " Free." He needed to take my pin drive home to do the transfer and I was to return before closing time (9 PM). I was taking a nap when I heard clapping near my front door. I wondered,"What on earth?" It was the pharmacist. He was delivering my pin drive. It actually took me a few sessions before I realized this clapping was in lieu of knocking on my door! 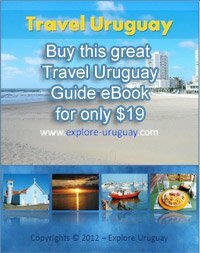 Another interesting fact about Uruguay. Kevin, I think it is a country custom. Kevin, As far as I know, this is the common way to get someone's attention. That's unique. Never heard about this before. Is that all over uruguay or just In montevideo?